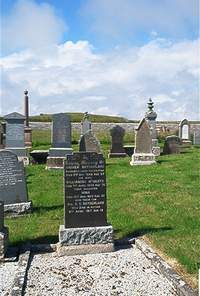 Andrew Sutherland of Bardintulloch Occumster died 5th May 1946 aged 87. Wife Williamina McBeath died 7th April 1930 aged 70. Daughter Mina Sutherland died 19th March 1929 aged 32. Son Pte E S Sutherland died in action 9th April 1917 aged 19.